8 Ball Pool is an online Multiplayer game. It is both mobile-based as well as web-based (Flash). It is developed by a multi-national (Switzerland, England, Portugal and Italy) start-up game company called Miniclip. The game’s theme gives the players a taste of billiard-pool simulation experience. It sprinted to top-spot in Miniclip’s Top 100 List by the fall of June 2015. Initially started as online flash game, with its immense popularity it has found its place in most mobile platforms as well. It’s a freemium game i.e. it’s a free-to-play game but you can shed some extra bucks to get a head start or be a tad ahead of other fellow players. 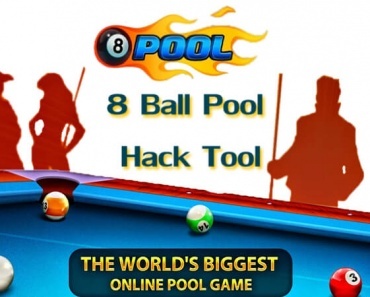 8 Ball Pool can be played from any computer device and runs in any ordinary flash-enabled browser fluently. It has revolutionized pool gaming and is at the apex of its genre by reigning as the largest multiplayer billiards game. Millions of players login daily or sign up for it. As of February 2013, the game had a staggering eighteen million active players. There are currently 70 million active users on Miniclip for this game, as reported by one of Miniclip header’s corporate pages. According to Business Insider, Miniclip netted the spot among top-ten valuable start-ups in Europe, courtesy mostly of Ball Pool. Quick Fire Pool, yes, this was the name with which today’s top grossing game was once christened with back in 2008. Originally a twisted version of the classic 8-ball pool game where the player had to put as many balls in the pocket as quickly as possible before the timer runs out. With each ball put, the timer gained some time allowing the players to increase their high score and compete with other players. Capitalizing on this already successful game, Miniclip ventured on to device a more addictive and fun-filled game by shifting its focus on the game mechanics altogether. Miniclip’s tendency of expansion with its relentless pursuit to outperform itself, led to 2010’s 8 ball pool. A crisp game with good dynamics and an appealing UI definitely demanded some marketing to achieve popularity. Miniclip left no stones unturned. Starting off with advertisements in social media, the ball gathered some momentum. Facebook was a great platform to get this game the exposure it deserves. With its launch at Facebook on 2011, there was no turning back. The game quickly caught up and Miniclip started focussing on Facebook exclusive features and in-game purchases for the players. 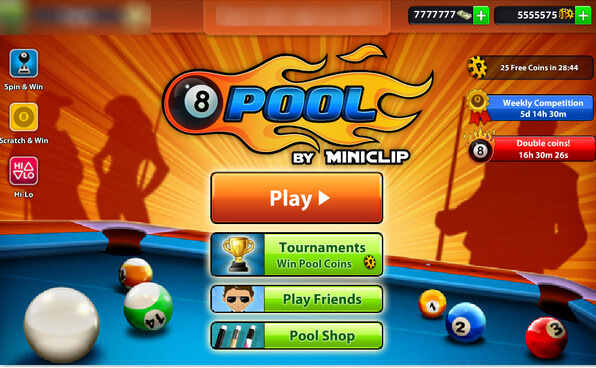 Miniclip revamped 8 ball pool with what they called “the big update” by adding an extra layer of challenge yet retaining the original flavour of the game. New pool currency system was introduced which players used as small entry fees for matches with even bigger rewards. A new ranking system was introduced and social connectivity namely with Facebook and google plus further added competition and fun among friends.8 ball poll was Miniclip’s master stroke to become the overnight success it always sought after…adding feather to its crown. But nothing adds more fun if you have the upper hand in the game. http://8ballpoolhackers.com/ brings to you a safe, comprehensive hack tool to add unlimited cash and infinite aiming length of cues. It ensures a fun experience, deletes all those frustrating moments when you lose a huge sum by a whisker or a petty mistake.